Ciena expanded its range of multiservice optical platforms with the OME 6110, a compact access point that’s optimized for customer locations and collector networks, especially where you need a lower service capacity. The cost-effective unit supports both TDM and PDH, plus Ethernet traffic, all in a small 1RU form factor. The Ciena OME 6110 is built to help providers transition and future-proof their networks by enabling SONET and SDH networks to accommodate Ethernet capabilities. Power your network and interconnect a variety of services using line rates ranging from 155 Mbps to 2.5 Gbps. Plus, you can support low-order DS1/E1 grooming to maximize transport efficiency for all DS1/E1 services. Here’s your chance to build out a complete end-to-end solution that’s fully managed. A refurbished Ciena OME 6110 is the right choice for smaller offices as well as enterprises that need a small service with dedicated quality and flexible bandwidth. The Ciena OME 6110 is designed to support a variety of legacy and next-generation network architectures, legacy TDM and Ethernet traffic on a single platform so you can future-proof your buildout. Worldwide Supply can reduce that development cost with a refurbished Ciena OME 6110 that offers Layer 1 and Layer 2 reach and service flexibility. 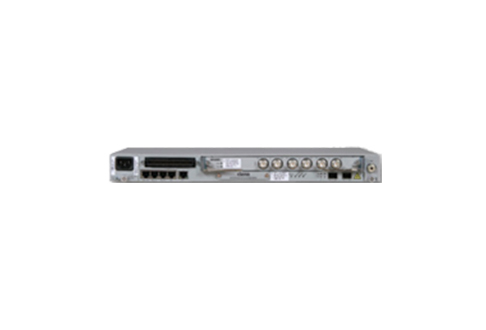 All our refurbished models, like used Ciena OME 6110s, come with a leading warranty and are thoroughly tested to ensure they meet the highest reliability standards. Give your company the service support you need at a price you can afford.